In 2003, a reputable nationwide seafood chain lost 1.1 million dollars per month, due to a poor pricing decision. Red Lobster had implemented an “all-you-can-eat” crab promotion, for the reasonable price of $20.00. This blockbuster campaign caused seafood lovers from across the country to line up at the doors. For crab aficionados, it was too good to be true. But for Red Lobster, it turned out to be a horrible mistake. The monumental failure nearly caused the establishment to go out of business, and ultimately cost the head of Red Lobster his job. Industry executives note that management had grossly underestimated the number of times customers would refill their plates, after paying twenty dollars for an endless crab buffet. As customers were going for three and four helpings, crab prices were going up. And that sent the profit margins into a devastating downward spiral. If a pillar of fine dining can make a monumentally poor pricing decision, so can you. Small business owners are especially vulnerable, because they are often so passionate about their niche that they overlook the basics of effective pricing. Predicting overly optimistic volume and sales. More often than not, forgetting to factor in a profit. Cost Plus vs. Market-based Pricing. Overnightprints.com caters to small business owners around the nation. We often hear the stories and struggles of entrepreneurs, especially in the area of competitive pricing. We’ve compiled some guidelines and strategies to help you price your products wisely. Create a spreadsheet that realistically portrays both fixed and variable costs. Make sure to include quarterly and annual expenses, such as taxes and membership dues, and irregular expenses like vehicle maintenance. If you offer only one product, it’s simple to attribute all expenses to that one item. However if you sell multiple products you’ll have to factor in a percentage of costs to each one. Actual costs, such as labor and materials. The cost of delivering your product to your customers. Selling expenses, such as commissions and business lunches. Discounts and incentives to partners and resellers. Operating expenses, such as rent, utilities, taxes, staff salaries and the like. 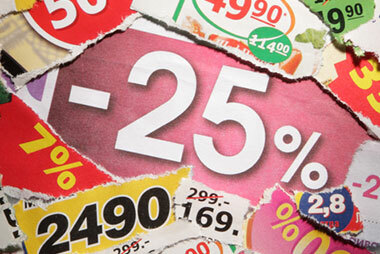 Marketing, which includes store displays, catalogs, advertising, print, and web. A return on the capital that you and any other stakeholders have invested. Capital for future expansion and replacement of fixed assets. Research other margins in your field. Industry associations can be a good resource. Try to obtain a competitors price sheet and then determine your pricing strategy. Do you want to be the low price leader, or do you offer a premium product or service that is worth a higher price? Another mistake businesses often make is focusing exclusively on Cost Plus Pricing. This means they take their costs, and add just 25% to ensure a profit. This method is usually not effective and often results in business owners leaving money on the table. The goal of pricing your products wisely should be focused on maximizing profit. Therefore, the best practice is to start with a price that is close to the competition’s prices, or just X% above your cost. Then test some prices that are little higher and a little lower. After completing a price test, you may be surprised to find that some products are more profitable overall. This is particularly true when you price other products much higher and much lower. 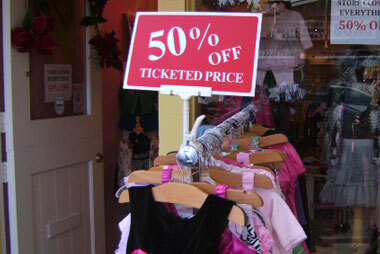 For example, you may find that dropping your price by 10% gives you 50% more customers. Conversely, increasing your price by 10% may only decrease orders by 2%, resulting in an overall increase in gross profit. When you take the time to price test, you’ll set yourself up to earn a respectable profit and establish prices that are both reasonable and competitive. Don’t let the Red Lobster blunder happen to you. Be wise. To paraphrase Steve Martin, you can make a million dollars by selling a million items at $1 profit, or one item at $1,000,000 profit.